UPDATE: Our member mork has spotted a new unisex clothing piece! Check out the female Sim on the right rocking the blue cropped chinos. 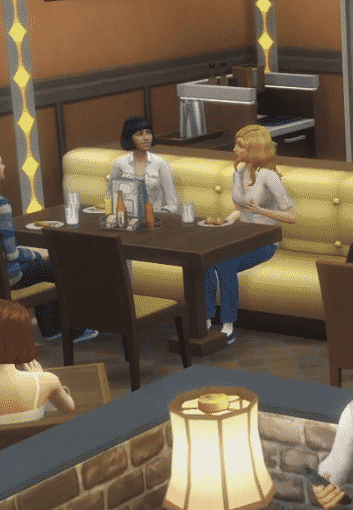 The Sims 4 Dine Out’s Gameplay Trailer has included a new Unisex CAS Hint! As you can see in the screen below, it’s a female Sim wearing a male-only shirt, jeans and even shoes! 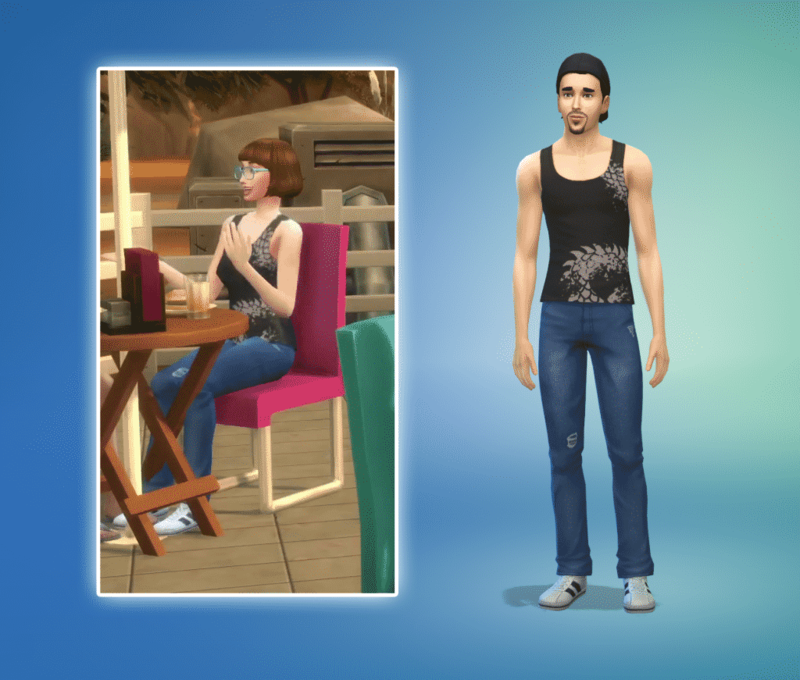 The left screen is a screenshot from the Dine Out Trailer, while the screen on the right is from my current Sims 4 Game, showing nothing else but Base Game male clothing. 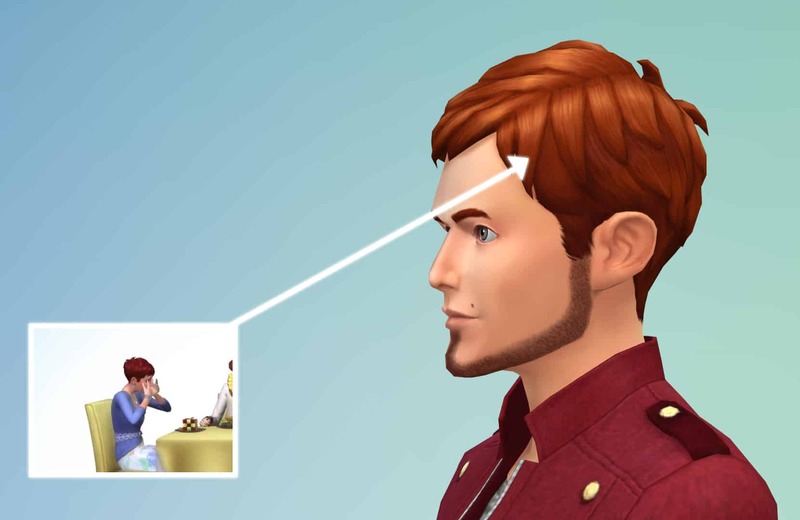 This isn’t the first time The Sims Team has shared hints about this potential Feature. In April, they have released 2 Teasers, one of them being quickly deleted by SimGuruSarah (pic #2 on the bottom). 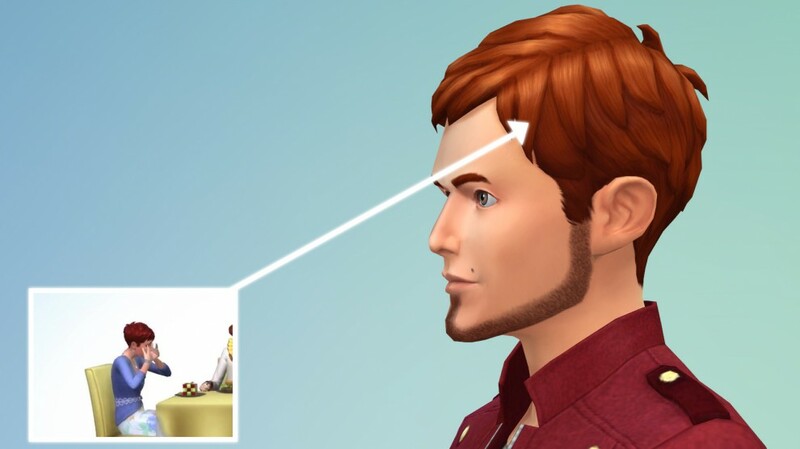 Just a week ago, they teased us with ‘C A S C H A N G E S C O M I N G’ in The Sims 4’s latest Patch notes. Long female braids for males please!!! xD I’m super excited about these changes and can’t wait! You know, this is really useful when your go-to Sim is a dapper lesbian. She’s gonna have ALL THE SUITS.